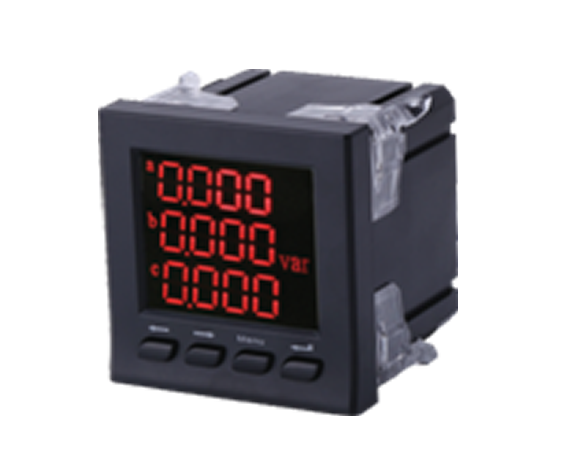 Digit Active power/Reactive power suitable for Power ssystem/Automated system, It can measure the digital active power / reactive power electrical parameters in the power system, In accordance with its additional functional division, we have X, K two series of digital instrumentation. 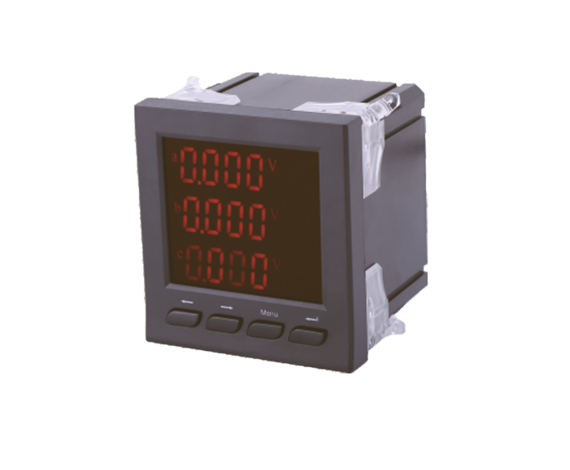 X series Active power or Reactive power Intelligent digital measuring table,It is through the direct exchange of sampling, the use of software technology calculate active or reactive power value and display by LED and LCD. 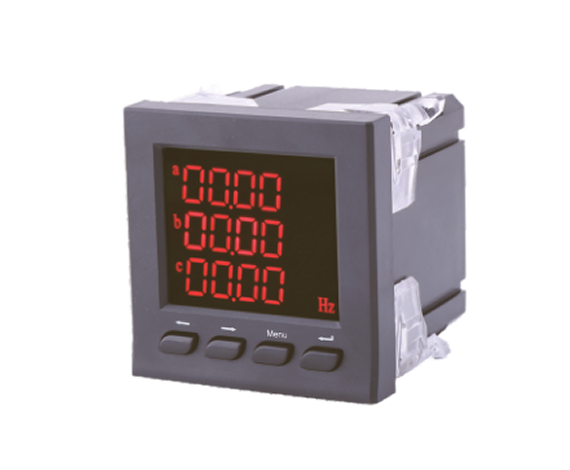 K series Active power or Reactive power Intelligent digital measuring table based on the X series to increase the 1 to 4 Sn(n=1~4)way input to achieve remote communication/1 to 4Rn(n=1~4)way Relay alarm output and 1 to 4An(n=1~4)way transmission output to 4-20mA with RS485 communication, Adoption of Modbus-RTU agreement to achieve telemetry. 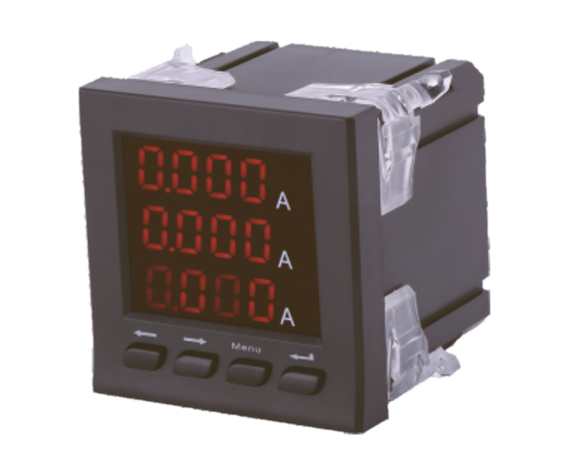 Remark: The binary input and the relay input can not be selected at the same time. Supplementary explanation: 1.In the selection, the product model column according to user needs to ﬁll out. 2.The order of functions is sorted by SRAC, Respectively are: S-switch, R-relay, A-analog, C-communication. 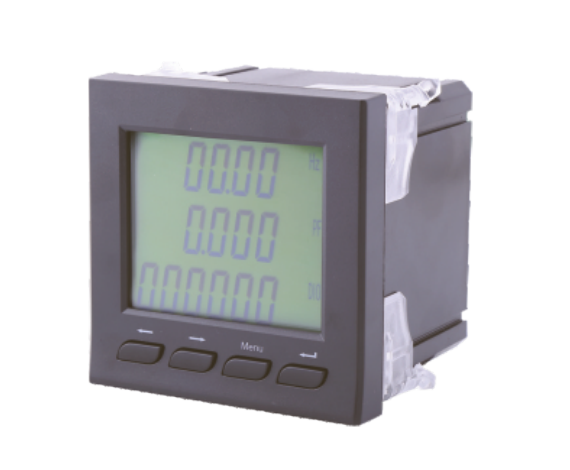 Example: 96type Three phase active power meter,Rated voltage:450v,Rated current:5A,LCD display, with 2way switch input,3way relay output, 1way analog output, with Modbus 485. Our productions have been passed CE, UL certification and so on based on high quality.